In order to help customers making the right choice, we posted this comparison table page, even though Archiduino Kits are really simple to be evaluated. 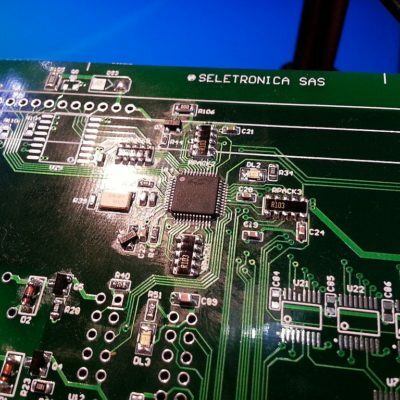 The starting point of a kit is always the winning pair Base Board + CPU Board. Let’s look at some minimal details about them. The Base Board is engineered to hold the CPU Board with a 2mm pitch, 46 pins female connector. It also hosts 11 or 12 “modules” (depending on the version) on which you can place SnipCards, power relays or optocoupled inputs. 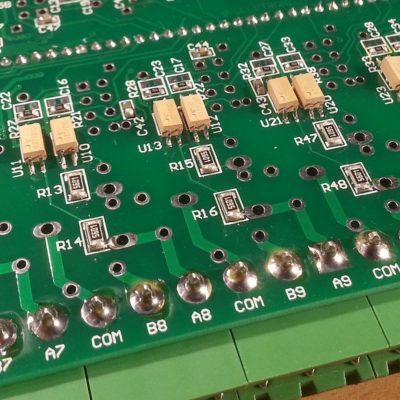 To make Base Board ready for SnipCards, if you consider to buy at least one of them, you need to place both vertical pin headers and 90° pluggable connectors (the green ones). 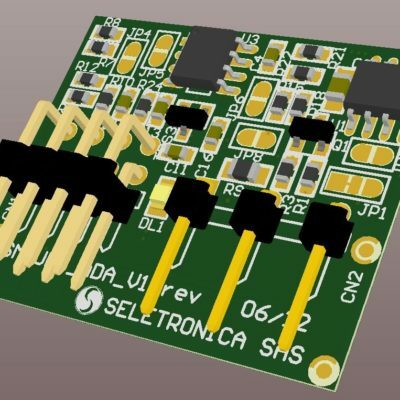 As well as for power relays, optocoupled inputs should be soldered directly onboard, with proper placement for pullup and current limitation resistors. 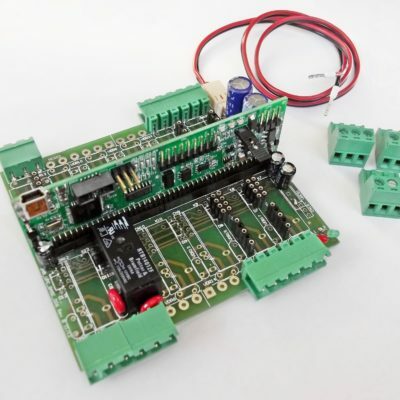 The Base Board also hosts the 3.3VDC power supply needed for SnipCards’ logic supply. Primary supply is 12VDC and must be provided with external power supply. On 12VDC input there are three protection levels: EMI protection, in order to soothe electrical noise (also that one generated from eventual SMPS, or switching mode power supplies), and ESD/TVS protection. 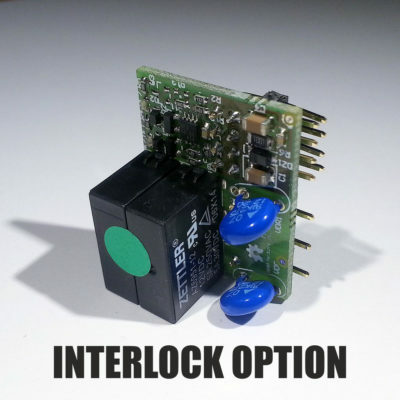 The third protection, as a matter of course, is designed to avoid polarity inversion, even if it’s very difficult for this to happen (thanks to Molex polarized supply connector). The Ethernet Base Board hosts, at M1 (module #1), the Ethernet RJ45 connector; on the lower side of the board there are ethernet port ICs, balancing resistors and – again – huge protection devices.